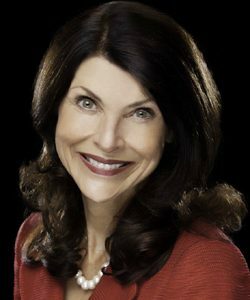 WASHINGTON, D.C. — Pam Tebow sparked an international conversation about abortion when she told the world – during a television commercial aired during the 2010 Super Bowl – that doctors had recommend she terminate the life of her unborn child because of strong drugs she had been given to treat an illness she caught while working as a missionary in the Philippines. She refused, saying she would rely on her faith in God to safely deliver the child. Florida Gators quarterback Tim Tebow, 29, the 2007 Heisman Trophy winner who later played in the NFL, was that child. He was born perfectly healthy. Mrs. Tebow will speak at the 23rd annual National Memorial for the Pre-born and Their Mothers and Fathers in Washington, D.C. on the morning of the March for Life. The service and march will be on Jan. 27 in 2017 because of events surrounding the presidential inauguration. Mrs. Tebow also will be honored with the 2017 National Pro-Life Recognition Award. The National Memorial brings together clergy from dozens of denominations for prayers and preaching before the nation’s largest protest march against abortion. The service takes place in Constitution Hall from 8:30 to 10:30 a.m., leaving attendees plenty of time to get to the March for Life site in time for the rally. A Catholic Mass will be celebrated at 7:30 a.m., with Father Pavone as celebrant. Special musical guests at the service will include Ryan Bomberger of the Radiance Foundation and singer/songwriter Tony Melendez, who plays guitar despite having been born with no arms. Organizations that are co-sponsoring the National Memorial include: Jubilee Campaign Law of Life Project; Life Issues Institute; National Institute of Family and Life Advocates (NIFLA); Couples for Christ Foundation for Family and Life. Serving on the Host Committee are Archbishop Craig W. Bates, Patriarch of the International Communion of the Charismatic Episcopal Church; Ernie Ohlhoff, National Right to Life Committee; Alveda King, Director of Civil Rights for the Unborn, Priests for Life, and Bradley Mattes, President and CEO, Life Issues Institute. The National Memorial is a free and no registration is required. Constitution Hall can easily accommodate large groups that will travel together to the March for Life. Information on the National Memorial can be found at www.NationalPrayerService.com. This entry was posted in Press Releases, Resources by Editor. Bookmark the permalink.